I would just like to thank the lovely Jodie over at Being Mrs Davies for tagging me in this. 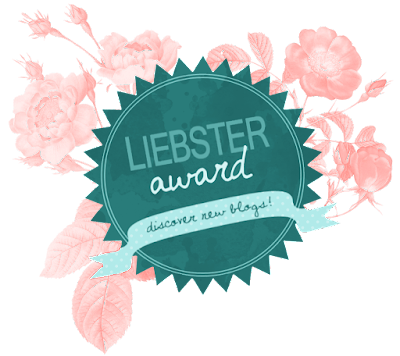 The Liebster Awards is all about finding and sharing new blogs. I think this is a great idea as I love finding new blogs who share similar interests to myself and what better way to support people than giving them there own little award. Well done girls!! As I suffer from anxiety I thought writing my feelings, thoughts and interests down would help with this and why not share it with people who maybe feeling the same? 2. What are your top 3 blogging must haves? My first go to is actually good old pen and paper to jot down ideas that I may have on the go. My planner would be next as that will probably feature heavily in my blogs and I can track/ schedule posts and finally honesty. Just be brutally honest as life isn't perfect so be real. 3. If you could visit anywhere in the world where would it be? I want to go back to America this time with my children to make amazing memories like I have as a child. 4. Describe becoming a Mum in 3 words? 5. What is your family favourite day out? Going for walks and exploring. I really love architecture so If I can involve the kids I'm happy. 6. What is your Favourite social media platform to use? I love Instagram. It's so easy to use and I love looking at other people's photos who share the same interests as me. 7. What is your go to family meal? Anything Italian. My children will eat anything with pasta and as a mum watching your children eat healthy and enjoy food is so important. My favourite easy read books are anything from Cecilia Ahern. I can read hers in a night. 9. Which other bloggers do you love? I love finding new bloggers all the time but the two I religiously read are Mrs Meldrum and Geraldine Jayne. 10. What has been your best family holiday? It has to be Tenerife when we went for my sisters 30th. All the family went including grandparents, aunties etc. Really enjoyable and the kids loved it. 11. What is your number one parenting tip? Don't expect it to be easy. Take each day and do it YOUR way. Don't listen to others. Geraldine of Geraldine Jayne - Geraldine is a genuinly nice person who creates the most amazing work. Cat of Callie Rose - I have only met Cat once but she is so sweet. We both share a love of planning. Kelly of A Beautiful Plan - Kelly's blog is a new one for me so I am excited to follow. Rachel of Lost in Lipstick - Lovely girl and a really nice blog. 2. Tip for a new blogger? 3. Where do you get your blog inspiration? 4. When you have writer's block what do you do to work it out? 5. What is your 3 year plan? 7. Three things you are grateful for? 8. Favourite social media platform? 11. One secret you would like to share? 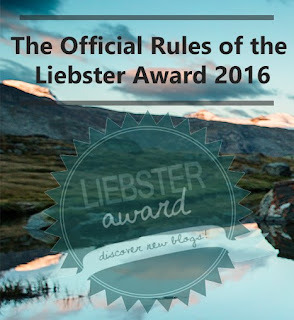 Thanks for reading and I hope it has inspired you to give somebody a Liebster award?